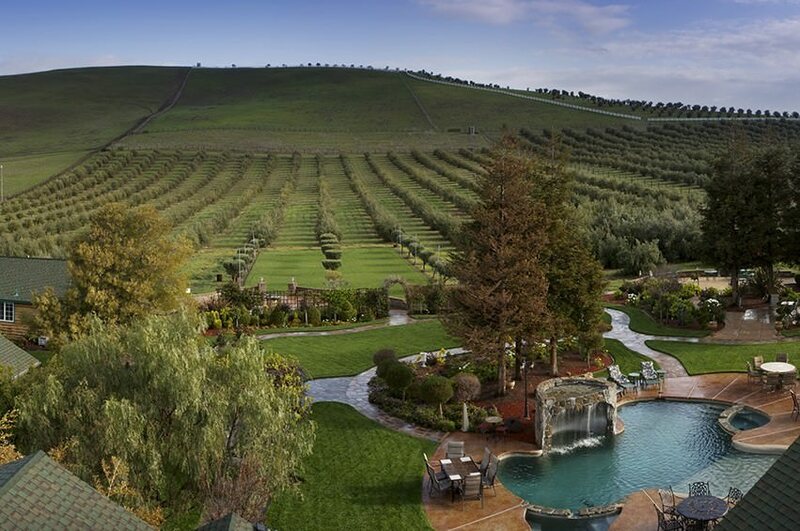 Livermore Valley lies just east of the booming city of San Francisco. We aren’t alone over here, though. Our area is part of a quadfecta known as Tri-Valley, California. Our neighboring cities include Pleasanton, Dublin, and Danville. There are so many incredible things to do across the Tri-Valley region. Drink your way through Tri-Valley on our beer trail. Or, grab a bite to eat in each city. No matter how you wish we explore the Tri-Valley region, we recommend making Livermore Valley your home base. Request a copy of our complimentary Vacation Guide for all the best ideas of what to put on your Tri-Valley, California, itinerary! Tri-Valley, California, is comprised of three valleys, three cities, and one town. From the peak of Mt. Diablo, you can see how the valleys mingle and intertwine to create our bountiful area. When you think about taking a trip to California, you probably think about walking the Golden Gate Bridge or the hustle and bustle of the state’s biggest, most flashy cities. There’s something to be said for experiencing this way of life, but immerse yourself in a more laid-back, relaxing culture when you visit the Tri-Valley area. Either stay with us in Tri-Valley or visit us on your Bay Area getaway! Taste wine that’s fermented in the state’s oldest wine country, taste locally-brewed craft beer, take in the area’s beautiful landscape and more. Even though our area tucked away in the valleys and lends itself to a more laid-back vacation, there’s certainly no shortage of things to do. Here’s a list of our top three things to do in Tri-Valley, California. Visit the Tri-Valley Beer Trail. This beer trail is a fun, and tasty, way to sip through the Tri-Valley area. Get rewarded for tasting our local brews when you fill up your beer trail passport! Not a beer drinker? Worry not. Our area is known for its wine! Taste and learn at a wine blending class in our area. Get outside! In keeping with our name, the Tri-Valley area is made up of beautiful valleys that are home to some of the best state parks. Find the outdoor recreation type that’s best for you. Consider kayaking, biking, or hiking! Go to the spa. No getaway would be complete with at least an afternoon of total relaxation. No matter where you choose to stay in the valley, come to Livermore to indulge in Tri-Valley’s premier spa. 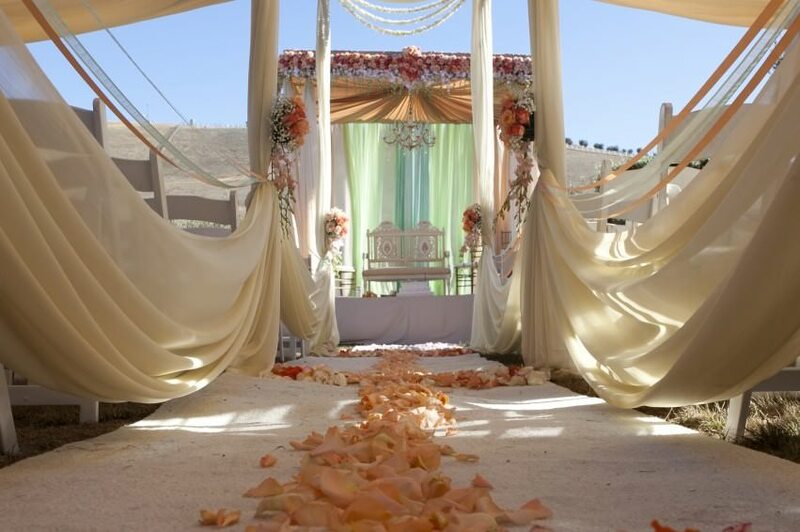 Put us at the top of your list of places to stay during your Tri-Valley, California, getaway. The Purple Orchid is situated in the Tri-Valley quadfecta and deeply immersed in its unique culture. You can easily spend your entire getaway in our area. Or, you can take a day trip to the big city to tour around before returning to your oasis in the rolling hills. For optimal relaxation, stay in our Orchid Retreat – King Suite. 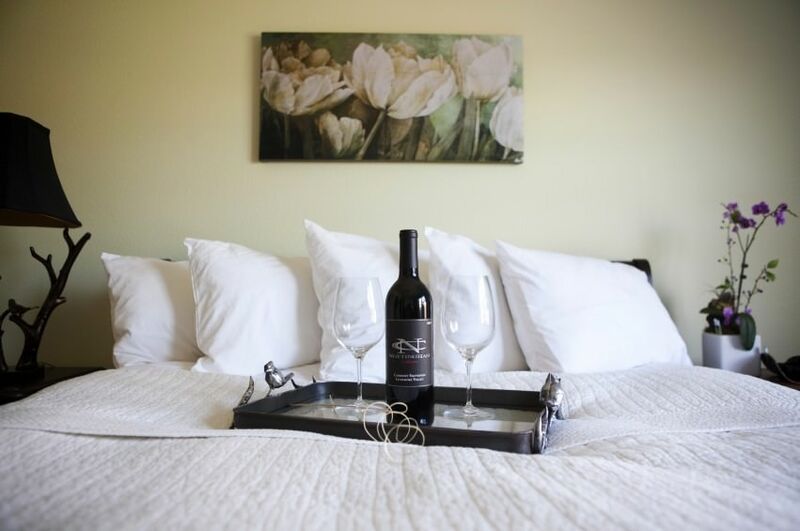 This room has windows that look out on our beautiful property with farmlands and vineyards, as well as a king-size bed. Enjoy all of our wonderful amenities when you stay with us and don’t forget to book a treatment at our spa. Browse all of our luxurious accommodations and book your Tri-Valley vacation today!